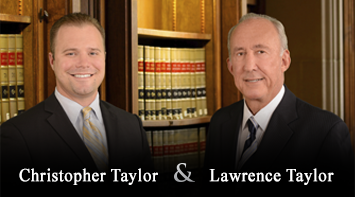 Our Riverside DUI attorneys welcome you to the Law Offices of Taylor & Taylor. Our highly experienced DUI defense attorneys, located in downtown Riverside, are nationally-recognized for their excellence in the profession. With an average of 24 years of experience, our firm specializes in all phases of drunk driving defense: driving under the influence of alcohol, marijuana or drugs, vehicular manslaughter, and DMV driver’s license suspensions. With a 44-year career and an outstanding reputation within the industry, the firm’s founder has lead his team in receiving the highest ratings and reviews from Yelp, Avvo and the Martindale-Hubbell International Law Directory, and continues to be listed in the prestigious Bar Registry of Preeminent Attorneys. Nationally-known as “The Dean of DUI Attorneys", Lawrence Taylor is a former prosecutor, Fulbright Professor of Law and founder and former Dean of the 2100-member National College for DUI Defense. He is the author of the bestselling textbook in the field for the past 34 years, Drunk Driving Defense, and has lectured to DUI lawyers at over 200 DUI defense seminars in 38 states recognizing his reputation in the field. Mr. Taylor has been voted a Super Lawyer for 13 of the past 15 years by over 65,000 Southern California attorneys, and is the only DUI attorney in California whose professional biography appears in Wikipedia. 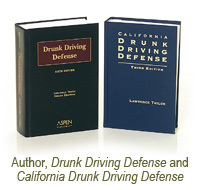 ANNOUNCEMENT: The Law Offices of Taylor & Taylor is pleased to report that the Supreme Court of the United States has recognized Mr. Taylor’s leading treatise "Drunk Driving Defense” (7th edition) in its landmark decision Missouri v. McNeely as legal authority in the DUI field. More extensive information on DUI laws and procedures in Riverside County and in California generally can be found in the menu bar at the top of this page — including such topics as DUI laws and penalties, accuracy of breathalyzers, DUI license suspensions and what it costs to hire a good DUI attorney. We invite you to meet our DUI lawyers and to review their experience and qualifications. We also invite you to read a few of the many thankful comments we have received from our valued clients, as well as some of the excellent results we have achieved for them. If you are facing criminal drunk driving charges and/or a DUI-related license suspension, please feel free to call our firm’s founder, Lawrence Taylor, or our Managing Attorney, Chris Taylor, for a free consultation. 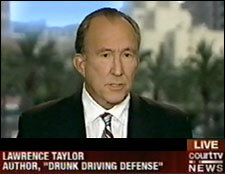 As the pre-eminent DUI defense firm in the country, The Law Offices of Taylor & Taylor is here to serve you. The Law Offices of Taylor & Taylor serves clients throughout Riverside County and San Bernardino County, including residents of Corona, Banning, Hemet, Indio, Moreno Valley, Palm Springs, and Temecula. In the event you have been arrested for driving under the influence in Riverside County, the links below to police, courts, prosecutors and governmental offices will provide you with contacts which may prove helpful concerning your case.